Dubai was awarded the right to host 97 new industry events in the first half of 2017, the city’s official convention bureau, Dubai Business Events (DBE), has revealed. The events secured since January, including conferences, exhibitions, meetings and incentive trips, are poised to more than 51,636 delegates from around the world, resulting in an expected economic impact of approximately AED375 million. In the first six months of 2017, DBE won a total of 97 pitches to host business events in the city, and is currently awaiting verdict on 97 more that have been submitted. DBE has also ramped up efforts to highlight the city’s business events offering to international audiences. DBE representatives have attended more than 50 trade events in the first half of the year, interacting with over 4,500 business events buyers and planners. The bureau has also facilitated a total of 16 site inspections with 38 clients, and hosted 144 buyers from around the world as part of four in-depth Dubai study missions. DBE’s Al Safeer Ambassador Programme has also contributed significantly to the city’s success in bidding for international events. The programme features a network of 300 prominent experts from diverse sectors, including academia, finance, and healthcare, who are based in Dubai. Since January, the programme contributed to securing a total of 11 business events for the city. 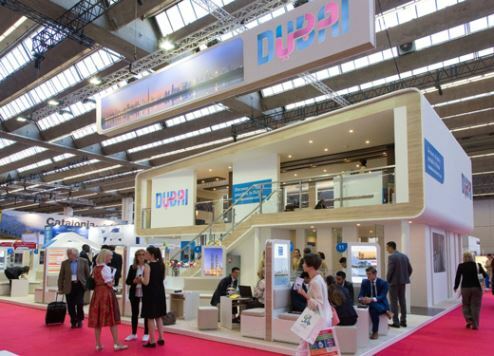 Dubai was named as one of the top 10 destinations for international meetings by Union of International Associations (UIA) in its latest edition of the International Meetings Statistics Report published last month. The city previously ranked 14th in the 2015 edition, and moved up the list with a total of 180 meetings taking place in 2016.